Stein Academy (SA) is a State of Maryland approved private career school. 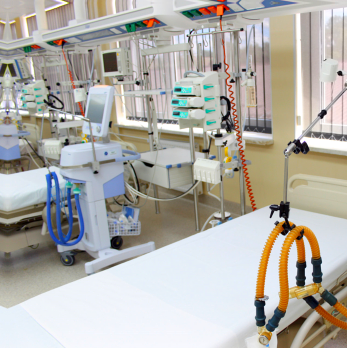 SA is dedicated to the training of students in the fields of technology, medical and allied health careers. Stein Academy is also approved by the Maryland Board of Pharmacy to offer the Pharmacy Technician program. This brochure describes our Pharmacy Technician training program, and will be updated periodically. Pharmacy Technicians assist licensed Pharmacists prepare prescription medications. 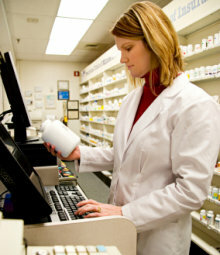 They generally are responsible for receiving prescription requests, counting tablets and labeling bottles. In some facilities they perform administrative functions such as answering phones, stocking shelves and operating cash registers. The Pharmacy Tech Program is based on 260 hours of class, lab and externship instructions. The 260 hours comprises 100 hours of classroom work and 160 hours of Board and State mandated externship at a pharmacy. (1) Provide Proof of successful completion of a high school education or high school equivalency (e.g. a high school diploma, GED, Transcript.) OR proof of being enrolled , and in good standing at a high school, OR written proof that the he/she has worked in the pharmacy area of a pharmacy operated by the same pharmacy permit holder continuously since January 1, 2006, OR proof from the pharmacists who has supervised you for at least 6 months that you have performed competently. (3) Submit Proof of a negative Tuberculosis test (PPD) taken within the past 6 months, or if positive in the past, submit a chest X-ray report taken within the last two years indicating the absence of active TB). (4) Submit a Physical Exam Report from his/her physician or a signed letter from his/her physician stating that the student is in good health to enroll and participate in the program. Forms are available at the office. (5) Submit a Drug test report done within six months before starting the program. (6) Provide proof of health insurance coverage. Alternatively, you may opt to sign a waiver releasing the Academy of all liabilities. Waiver Forms are available at the office. (7) Must be at least 17 years old, by the last scheduled class meeting day of the program. The following will be acceptable documents for the purpose of determining age: birth certificate, drivers license or drivers learners permit, state identification card, passport or school identification card. (8) Must have access to a computer and internet. A signed “Computer and Internet Access Form” will be an acceptable proof. Forms are available at the office. Note: Note: If you already have the shots/immunizations mentioned here, including your CPR & First Aid Card just bring copies of your records. The tuition and lab fees for Pharmacy Technician program is two thousand, six hundred and twenty five dollars ($2,625) which includes tuition of $2,575 and a $50 lab fee. There is a Non-refundable Registration fee of $50. The following are additional cost/fees that students may have to incur. These costs are subject to change: Uniforms – $35 a pair (3 pairs for $100); Books – $240. Registration with Maryland Board of Pharmacy after graduation – $45; Fingerprint and background Check after graduation $57.25 National Certification Exam after graduation (optional) – $105; Pharmacy Tech Exam Review Book $65. Payment is due in full on or before the first day of class. However, installment payments are available. There is a one time $20 “installment Payment Servicing Fee” for those who chose to pay in installments. The fee is added to the first payment. First payment $545 Due on or before the first day of class. Second Payment $525 Due on or before the Friday of the second week. Note: Students who do not complete their tuition (a) Will not be allowed to take the final exam (b) Will not graduate (c) Will not be given any letter of reference or go for externship. Payment Forms: We accept cash, money orders, certified bank checks, debit and credit cards. No personal checks! Payment Receipts: Students are entitled to and must request a receipt for all payments made to Stein Academy. No refunds will be made without a receipt. Refunds: No cash refunds. All refunds will be made by CHECK, not withstanding the form of payment used. All refunds will be based on the School Refund Policy. NOTE: Stein Academy does not offer financial aid and does not participate in the Federal Financial Aid program at this time. The school however, welcomes sponsorship, financial assistance and tuition payments from any source or organization made payable to Stein Academy on behalf of any student. UNIFORM:Uniforms are required. The uniform color is Royal Blue for classroom and white for clinical. All uniforms are imprinted with the school logo and are available for purchase at the school. 11 weeks plus 160 hours of State required Externship. To work in Maryland national certification is not required. However, we do encourage all of our students to take a national certification upon graduation. Please note that requirements are different for different Certification organizations. Additional information is available for those who are interested.